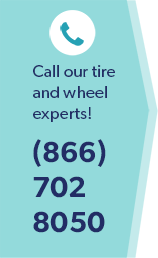 Your number one priority as a vehicle owner is to make sure your car is in tip-top shape to drive the roads of Burke, VA. You should have a good auto mechanic who you can depend on to perform the necessary maintenance and repairs on your vehicle. As part of each maintenance you schedule, make sure that you include brake service on your vehicle’s braking system. Brake service can save you on more expensive repairs and can save your life if your brakes are not working properly. Safety—Make sure to replace brake pads when needed and have the necessary repairs for any other signs of brake malfunctions on your vehicle in Burke, VA.
Save Money—Brake service should be done as regular maintenance for your car to maintain proper braking to stop your vehicle. Regular brake service in Burke, VA includes replacing brake pads, adding or changing brake fluid, and eventually replacing the rotors. Having regular brake service will save you money in the long run by avoiding costly repairs to other braking system components. Longer Life of Brakes—Regular brake service performed on your car in Burke, VA will prolong the life of your brakes. A squealing or grinding noise when you apply brakes is usually an indication that brake service is needed for brake pad replacement. When your brake warning light comes on, this indicates you are low on brake fluid which could mean you have a leak somewhere. Pulling to one side or the other could be a sign that your brakes are worn and need to be replaced or you might have a brake fluid leakage. A spongy pedal or a pedal that is hard to press down could be a sign of low brake fluid or air in your brake lines. Brakes service should include checking your master cylinder and your brake lines. If your steering wheel or entire car vibrates when applying brakes, this could mean your rotors are warped and need to be replaced. Preventive brake service should be taken seriously for the safety of those who ride with you, including yourself and others who travel on the roads in Burke, VA around you.